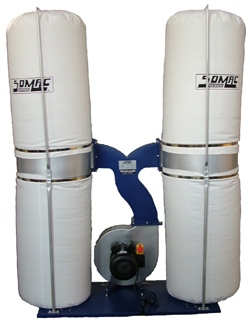 This high capacity, quiet and powerful extractor can run a ducting system to multiple machines with ease. Wheel kit supplied for portability. 3900 m3/hour or 2295 CFM. Three 100mm inlets or one 200mm inlet configuration. Price includes 3m of 100mm hose and clips with this machine. 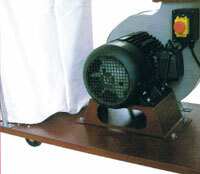 Powerful cast-iron shell motor for stable run.